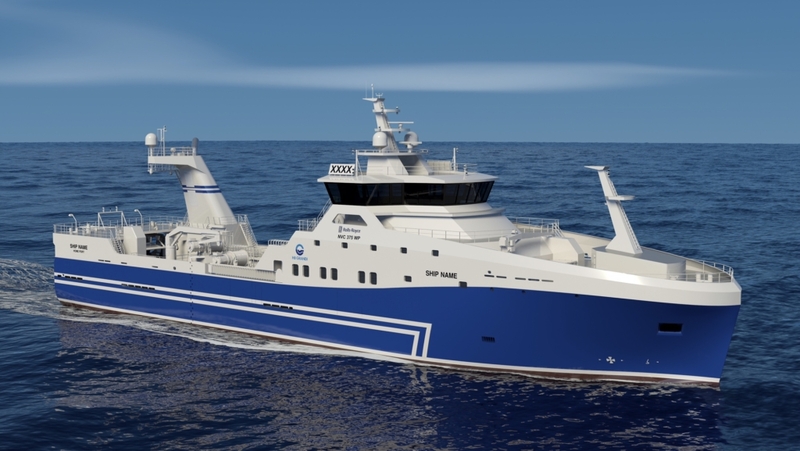 Construction has started at the Astilleros Armon shipyard in Spain of a new Rolls-Royce designed freezer-trawler for HB Grandi seafood company in Iceland. The trawler will incorporate a Hedinn Protein Plant with a raw-material capacity of 50 tons per 24 hours. 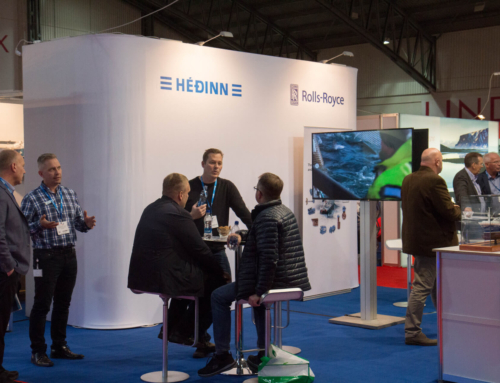 The Hedinn Protein Plant makes fishmeal and fish oil production at sea more economical and efficient than previous equipment would allow. 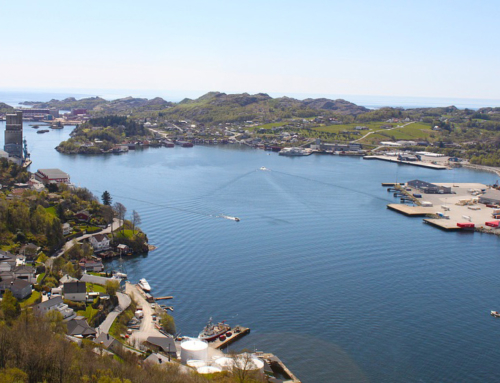 It enables fishing vessels to fully utilise all raw-materials to make valuable products. The Rolls-Royce NVC 375 WP for HB Grandi is an 82 m stern trawler developed for fuel-efficient operations by introducing wave-piercing hull design, HSG machinery system and Promas propulsion system. This new model is based on a long history of designing trawlers for polar waters, giving efficient vessels for fishing in demanding sea areas, known for low resistance, power requirement and seakindliness. The new trawler will be powered by a Bergen B33:45 L9P main engine, developing 5.400kW. The B33:45 is the most powerful engine in its class, offering 600 kW per cylinder in a compact engine design. It sets a new industry standard concerning fuel efficiency, low emission and low life-cycle cost. The HB Grandi trawler will be incorporating the all-new Rolls-Royce Electric Winch System with Permanent Magnet (PM) motors. 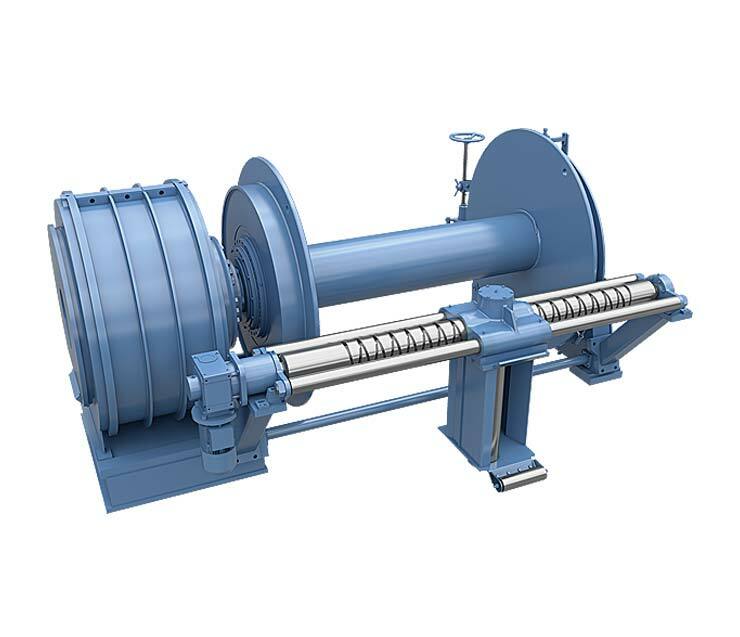 Trawl winches will be driven by permanent magnet (PM) motors, which with their high torque direct drive offer a similar response level as low-pressure hydraulic winches. The PM motor drives the winch drum directly without a gearbox. The trawler will be equipped with the latest Hybrid Shaft Generator system from Rolls-Royce, which automatically runs the main engine at the most efficient speed following the propeller curve. The new integrated Acon-R control and monitoring system will monitor all alarms and control pumps, valves and tanks on board. The Rolls-Royce Hybrid Shaft Generator system. The HB Grandi trawler is expected to have a production capacity of more than 100 tons per 24 hours, with a freezing hold for over 1.000 tons along with a 690 cubic meter meal hold. Shipbuilding at Astilleros Armon in Gijon, Spain, is expected to take two years, with delivery planned mid-year 2019. When the trawler enters operations, it will be one of the most modern freezer-trawlers in North-Atlantic. 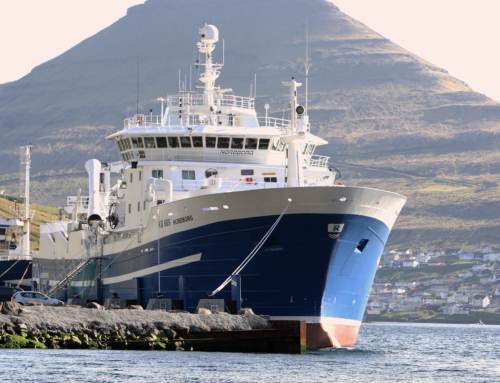 HB Grandi is engaged in the fishing and processing of groundfish and pelagic fish. The company employs approximately 950 people at sea and on land. The products are sold all over the world, with the most significant markets being Europe, Asia and North America. 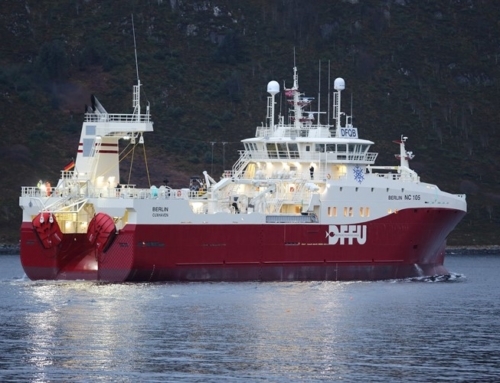 Four trawlers of the NVC 374 WP design with wave-piercing bows are currently on order at Kleven in Norway. Two are for DFFU in Germany, each with a six-cylinder B33:45 engine, a Promas propulsion arrangement and Rolls-Royce hydraulic winches. The first DFFU trawler, Cuxhaven NC100, has already started fishing and the second, Berlin NC, will be operational at the end of 2017. One other vessel is for Compagnie dês Peches Saint-Malo SA, and the fourth is for the UK. These seafood companies are all partly or fully owned by Samherji in Iceland.